Iron Fist, Netflix’s newest Marvel television series, will finally premiere this Friday on the subscription service. Have the show’s terrible reviews dampened your excitement for Netflix’s fourth Marvel show? The Blot’s disappointed Iron Fist isn’t living up to its predecessors’ high standards, but I’m still excited to watch it and the upcoming Defenders series. 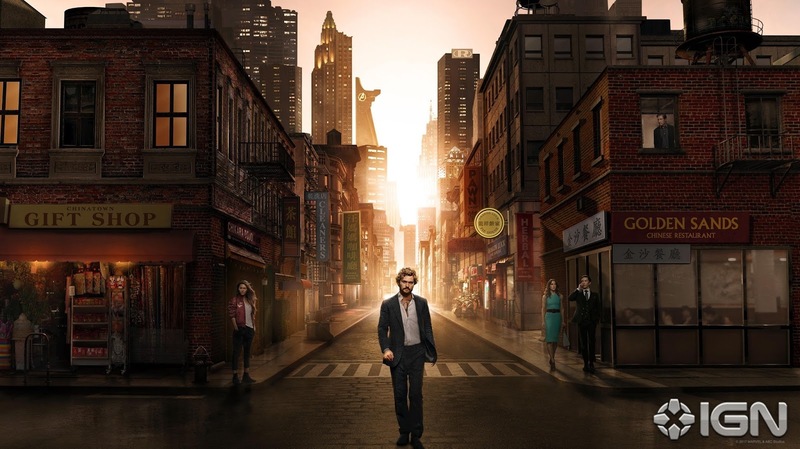 Until we can find out for ourselves whether Iron Fist is good or bad, check out these television banners and key art for the show. The Blot really loves the photo above, which features all of the Iron Fist cast on a street corner with the sunrise in the background. I'm more than a little shocked that Marvel included the Avengers Tower in the background, as there's be a noticeable split between the Marvel Cinematic Universe and the Marvel Netflix Universe (even though they all take place in the same “universe”). Iron Fist Season 1 stars Finn Jones as Iron Fist, Jessica Henwick as Colleen Wing, David Wenham as Harold Meachum, Jessica Stoup as Joy Meachum, Tom Pelphrey as Ward Meachum and Rosario Dawson as Claire Temple. All 13 episodes of Iron Fist Season 1 will debut on Netflix on March 17, 2017.